As a contractor operating under a limited company you will need to open a business bank account in order to get paid. Your limited company is a separate legal entity and as such the money your company makes needs to be kept completely separate from your personal funds. Umbrella contractors on the other hand are not required to open a separate bank account as they are PAYE employees. 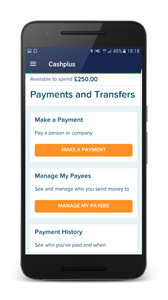 Set up direct debit payments for their mobile phone, insurance, accountancy fees etc. Your accountant may recommend a bank for you to use however it is always worthwhile comparing a variety of accounts to ensure you choose the best bank for your new company. 1. What are the account charges and fees? You will find that most banks promote special offers such as free banking for the first 12-24 months, however it is important to find out how much their charges and fees are after this introductory period. Alternatively there are a handful of banks that offer ongoing free business banking as long as there is a minimum balance held in the account – again you should look at how much they charge if you do not hold the minimum balance. 2. Do they offer online and telephone banking? Online banking is a must for many of today’s contractors as it saves a lot of time when it comes to making payments, setting up direct debits and being able to access real-time statements twenty-four hours a day. It’s also worth checking out what their telephone banking service is like as at some point you are likely to want to be able to call them. 3. Do they have the option to open a deposit account as well? As a contractor you are required to pay annual corporation tax and make quarterly VAT payments. Many contractors find it convenient to have a separate account where they can deposit funds for these bills on a monthly basis, rather than trying to get the amount together when it is due at the end of the quarter or year. You can also receive a higher amount of interest than for a current account. 4. What are their interest rates like? Compare interest rates on accounts as some business bank accounts pay interest on balances and some do not. As the interest on current accounts is minimal, you may wish to focus on the interest rates of their deposit or savings account if they have one and you are planning to put aside your tax liabilities as above. 5. What further banking services do they offer? You may also want to find out whether any other banking facilities are available to you to support your contracting business. These may include faster payments, access to historical statements, the handling of international currency payments, a credit and/or debit card, access to a loan or overdraft, and what the charges and fees are for these services. The specific information you will need depends on the bank you choose to open your account with, however this list should give you a good idea of what most of them will expect. Another thing to be aware of is that while some banks allow you to apply for your account completely online; others will require you to go into the branch for a meeting before they are able to open your account for you.